A final bunch of seeds hang intact from a dandelion. 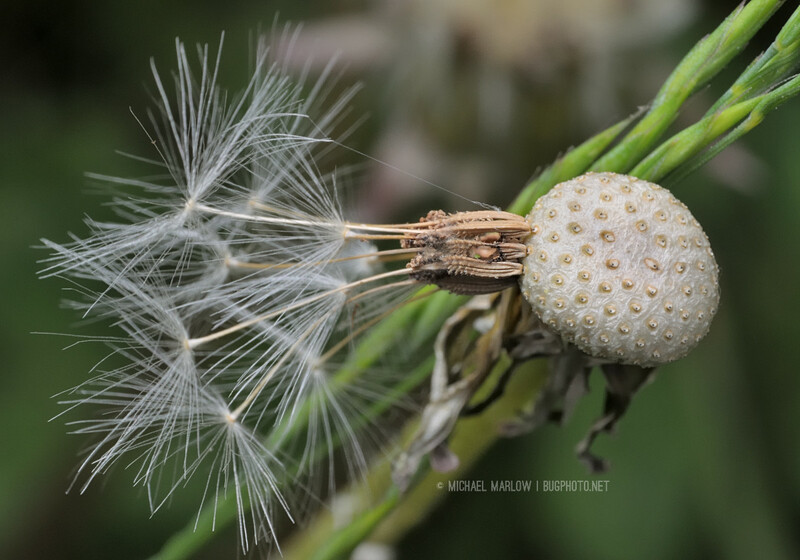 From above, the seeds attach resolutely to what remains of a dandelion blossom. 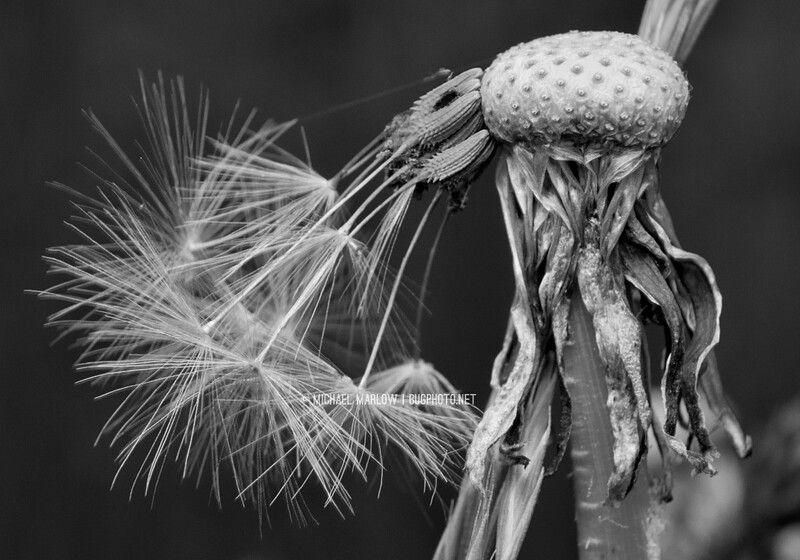 Posted in FlowersTagged black and white photography, dandelion, dimples, flower photography, Macro Photography, macrophotography, monochrome, seeds, witheredBookmark the permalink. Very nice! Composition, exposure, and detail all creating very nice and interesting shots. I normally prefer color but I like the B&W shots as much as the color. To me the B&W gives the center remains of the blossom and the actual seeds an insect like vibe. Thanks, David. I tend to favor color myself but I thought the black and white made just the parts you mentioned stand out more. I do wish I could have had a little more negative space to work with but it was a pretty tight fit on the old reverse lens set up this time.